London is full of super Instagrammable places, from floral-laden cafes to old buildings and red telephone boxes. 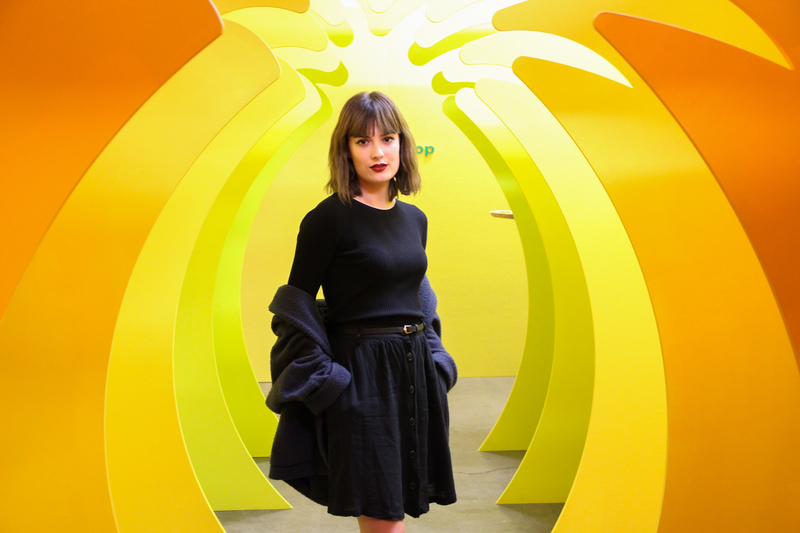 Another thing London does extremely well is interactive exhibitions, perfect for snapping your way through and getting some amazing content for the ‘gram. For lovers of all things bright and fruity, Plant Pop! in East London is the latest is a series of these immersive exhibitions. Designed to be an interactive plant-based experience, each room is themed like a different fruit, with things you can see, touch and eat. Visitors are encouraged to bring a fully charged phone and/or camera and get as snap happy as they like with the installations. 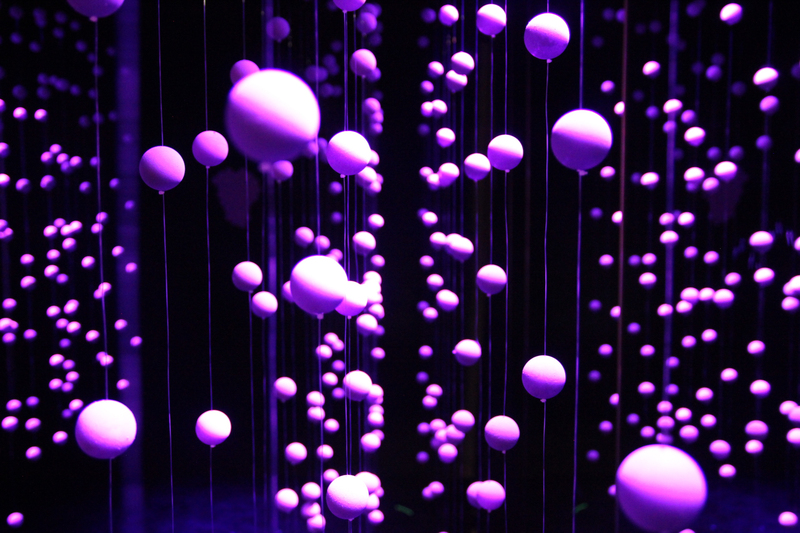 Our favourite room was the grape room, dark and sealed off from the rest and full of purple ‘grape’ balls hanging from the ceiling, illuminated by black light. Mirrors on the walls made it feel like the room went on forever, almost like you were standing in a galaxy in space! A tasty grape juice (not code for wine, it was non-alcoholic) was served in here to complete the grape-themed room, and plenty of ‘it’s grape’ puns were thrown around. Unfortunately, due to the dark lighting we couldn’t get any good pics here, but it was definitely number one for experience. Other rooms included a giant cherry, a watermelon seesaw, bouncy orange balls, trippy pineapple cut outs and a pea swing. 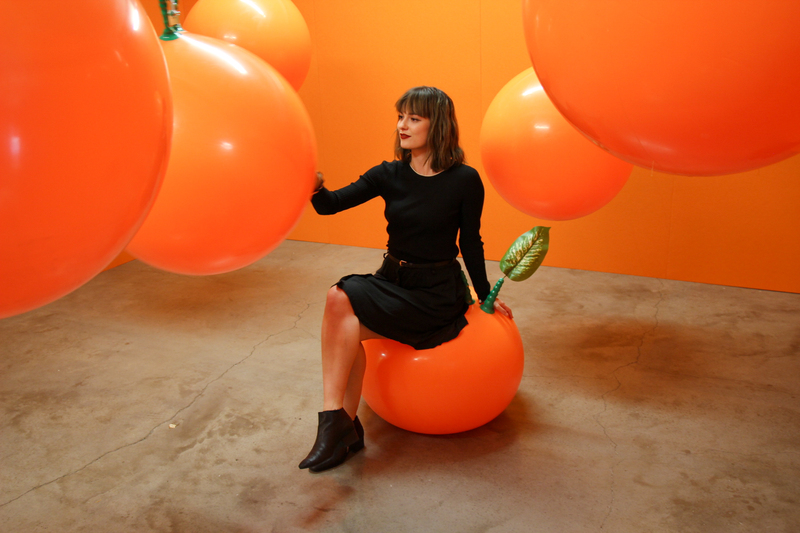 An avocado room featured a giant green ball put, inflatable avocado rings, smashed avo on toast and a small toddler who did not like Kristen in his ball pit and angrily threw dozens of tiny balls at her. 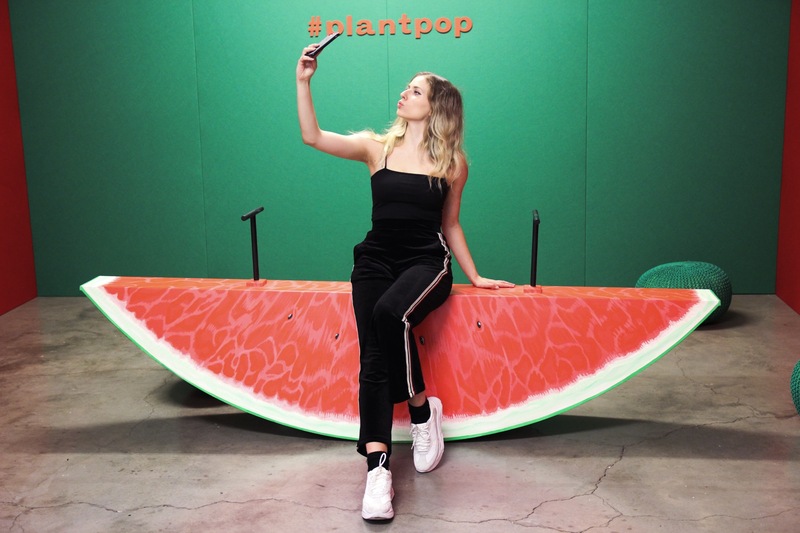 If you wanted to head past the Old Truman Brewery and check out Plant Pop! for yourself, the exhibition is running until the 2nd of September and you can purchase tickets here.